Easter is such a fun time for the kids. I know my little one is excited for the Easter Bunny to come. Or maybe he’s more excited for the chocolate? Probably just the chocolate. 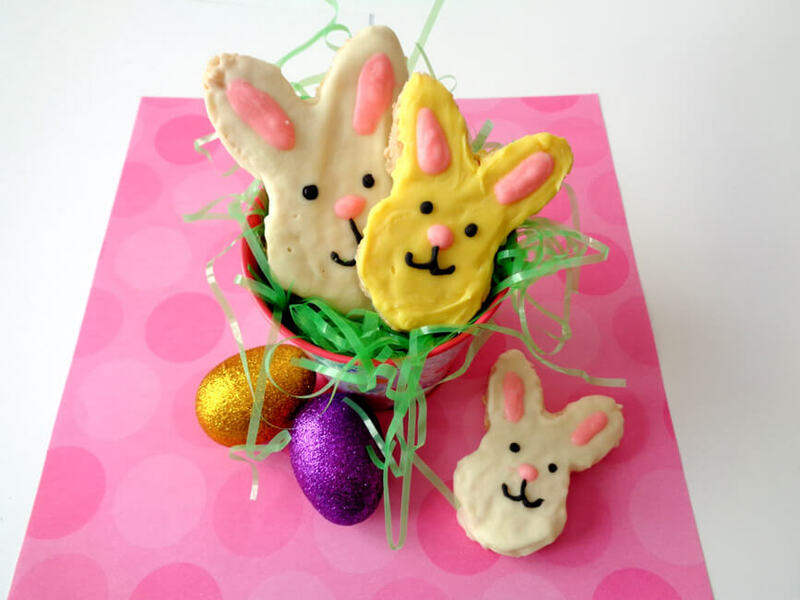 Today we’re sharing these adorable Easter Bunny Rice Krispies Treat. 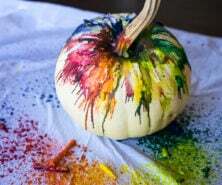 This is such a fun treat to make with the kids! They’ll love decorating the rice krispies and making the bunny faces! 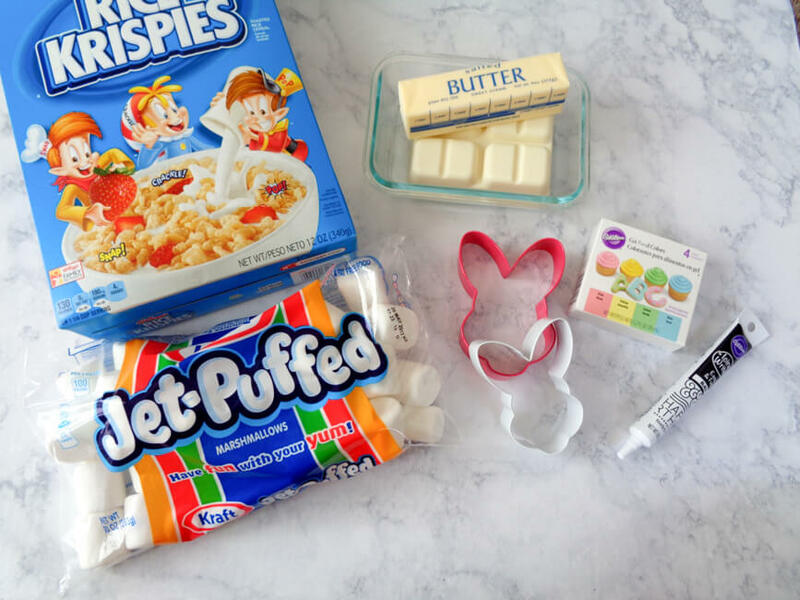 Here are the ingredients you’ll need to make this adorable Easter Bunny Rice Krispies Treat! 1. In a large saucepan melt the butter over med-low heat. Slowly add your marshmallows and stir until melted. Remove from heat. 2. Add Rice Krispies to your melted marshmallow mix and stir until the cereal is coated. 3. 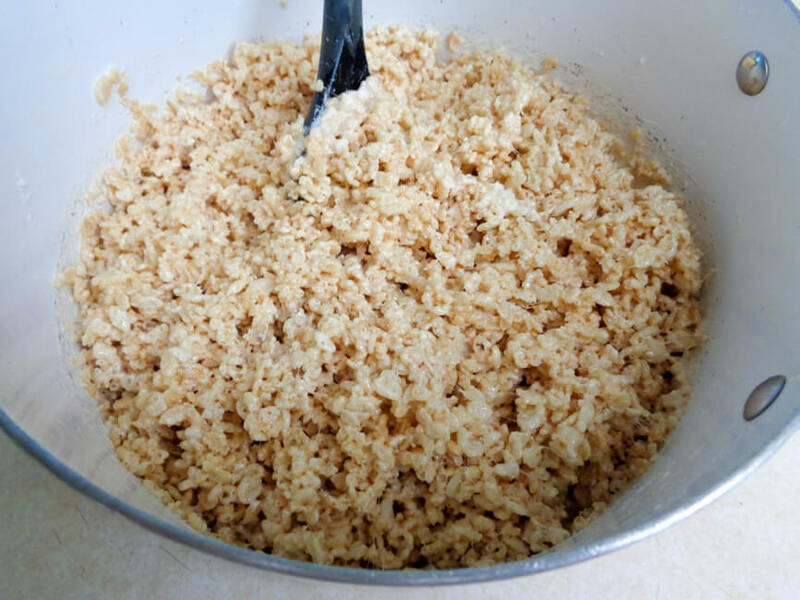 Press the Rice Krispies into a buttered cookie sheet or use wax paper. 4. 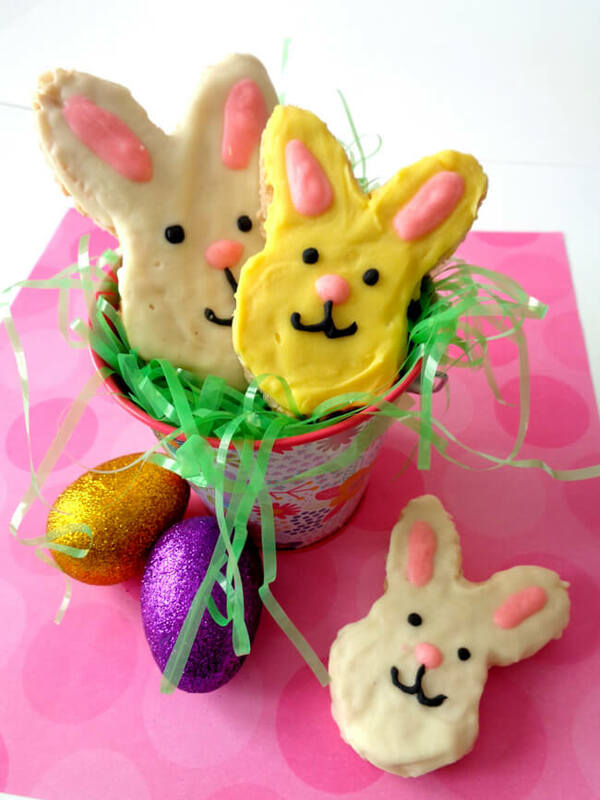 Cut your bunny shapes out with a butter cookie cutter. 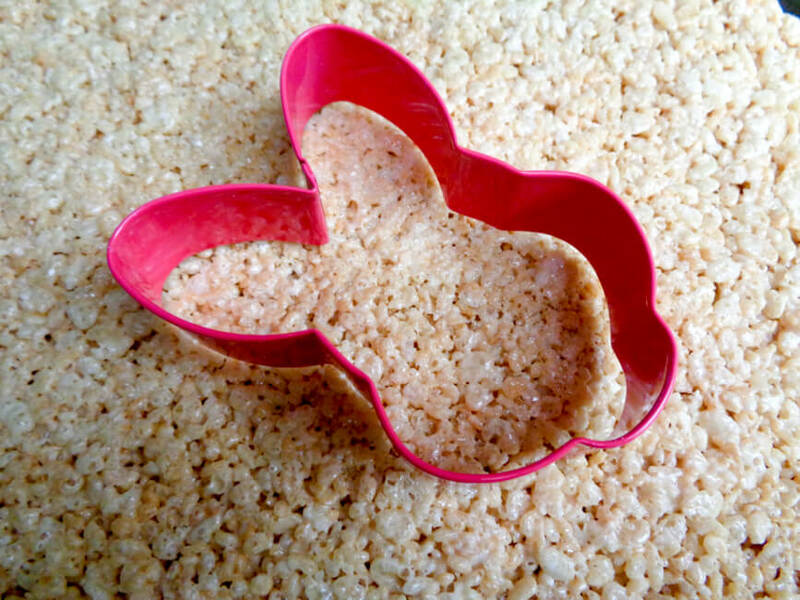 Use all the Rice Krispies area to cut out your Easter Bunnies. 5. Melt your white chocolate or white candy melts according to package instructions. Once you have the desired consistency, spoon your chocolate onto the bunnies and spread evenly. 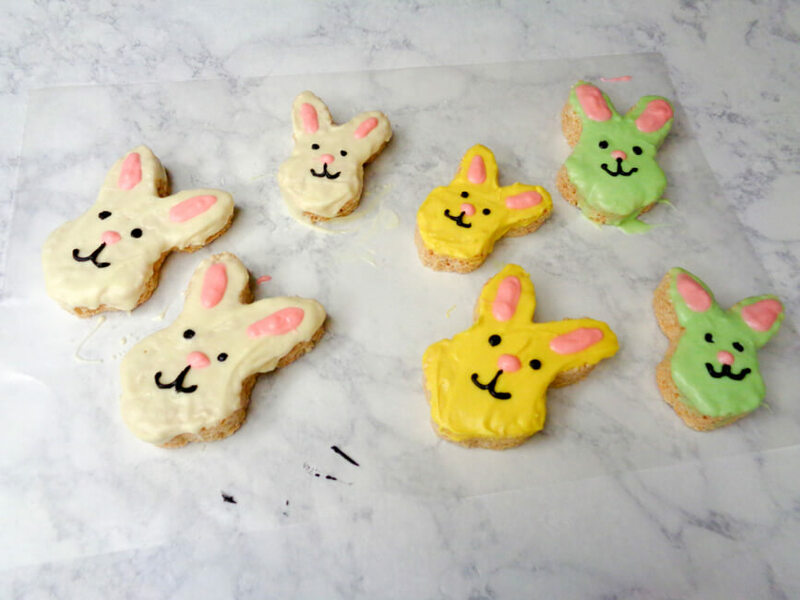 Use food coloring if desired to color the bunnies! 6. Dye some of the chocolate light pink for the bunny ears and nose. Then pipe on with a piping bag or use a Ziploc bag with the tip cut off. Now draw on the eyes and nose with the black icing. That’s it! Pretty easy right? 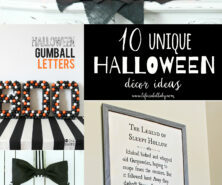 These are so cute and will probably not last long in your house! Print the recipe and directions off here! In a large saucepan melt the butter over med-low heat. Slowly add your marshmallows and stir until melted. Remove from heat. 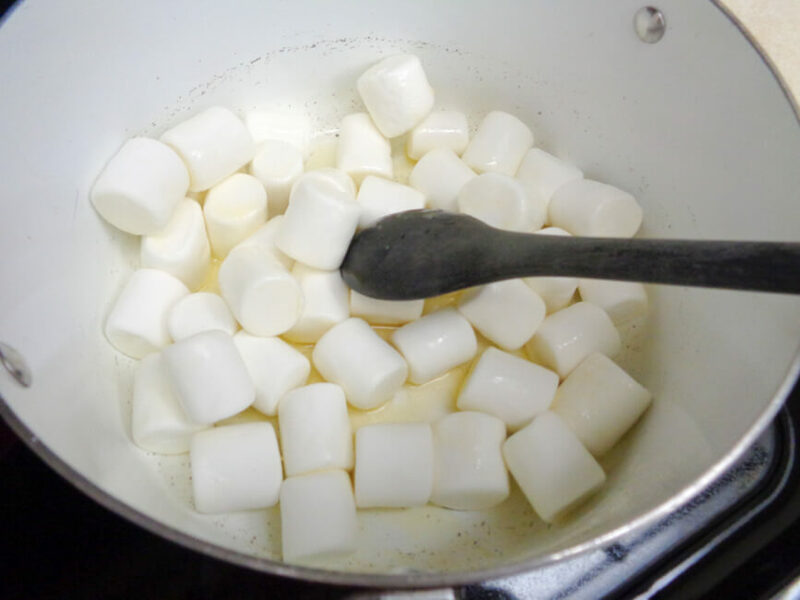 Add Rice Krispies to your melted marshmallow mix and stir until the cereal is coated. Press the Rice Krispies into a buttered cookie sheet or use wax paper. 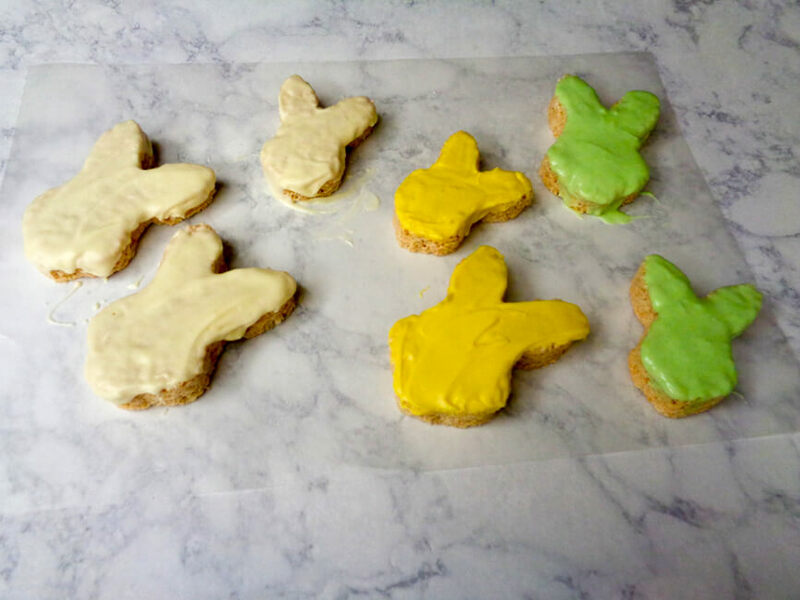 Cut your bunny shapes out with a butter cookie cutter. 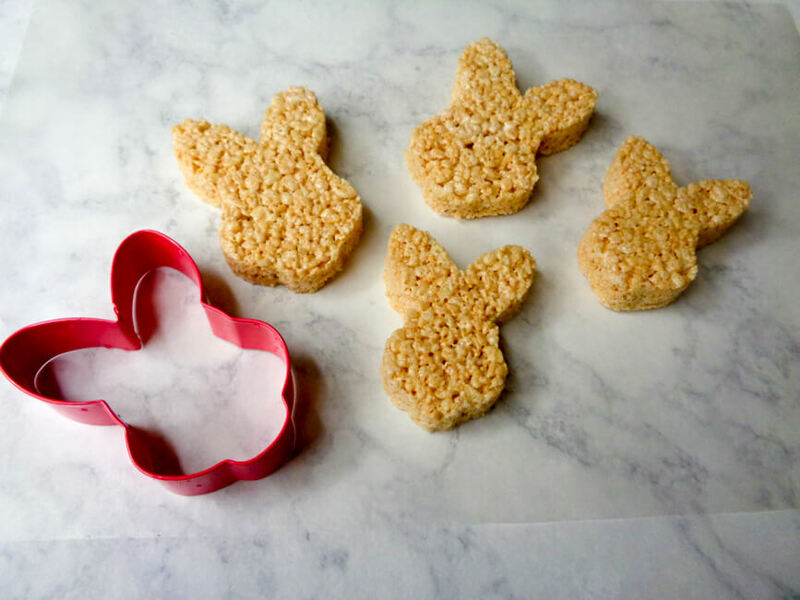 Use all the Rice Krispies area to cut out your Easter Bunnies. Melt your white chocolate or white candy melts according to package instructions. Once you have the desired consistency, spoon your chocolate onto the bunnies and spread evenly. Use food coloring if desired to color the bunnies! Dye some of the chocolate light pink for the bunny ears and nose. Then pipe on with a piping bag or use a Ziploc bag with the tip cut off. Now draw on the mouth and eyes with the black icing. Want more Easter fun? 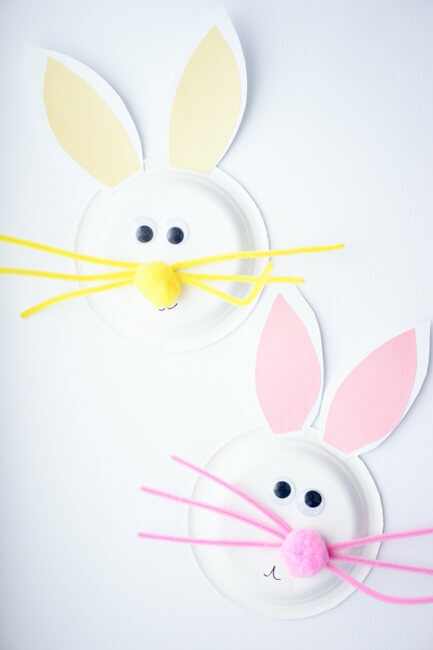 This Paper Plate Easter Bunny is so cute and easy to make! 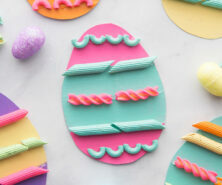 Don’t want to get messy with dyed eggs? 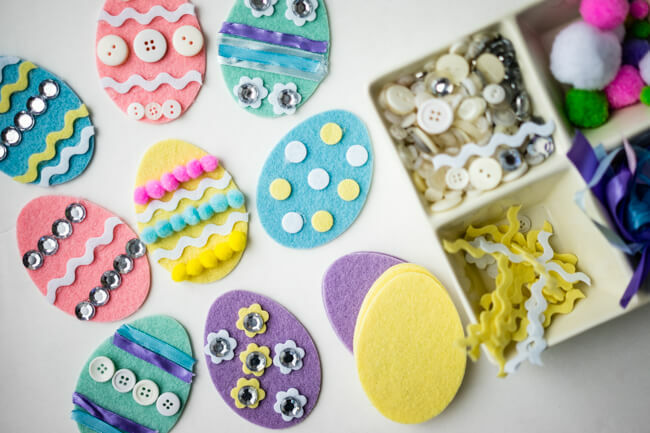 These Felt Easter Eggs are such a fun “invitation to create” activity where each child can pick the items they want to decorate their felt Easter eggs with! 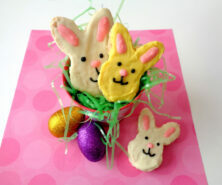 Looking for a fun treat to make for Easter? 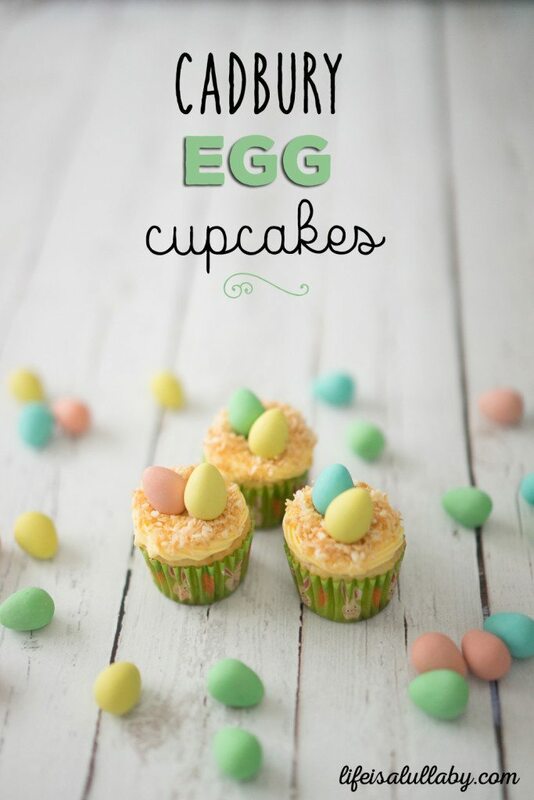 These cadbury mini egg cupcakes are so simple to make and are the perfect Easter dessert with the kids!